We need to perform lots of tasks from office computers. Create documents, prepare business presentations, work on excel sheets, create organization charts, prepare monthly reports and many more. It will be difficult to manage all these things during office hours and within the deadline. In such a situation, Some people prefer to perform these tasks on personal computers at home. But what about the smartphones? Smartphone is an excellent way to do document related works anywhere even on the go. 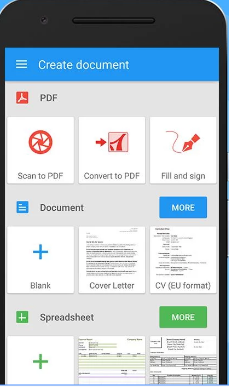 You can create, edit, manage any document hassle free from an Android phone. Google Docs is a talent document editor for creating, editing office files and save them to the cloud. It’s well synced across all connected devices. So you won’t lose any work- whether it’s made from a computer or a phone. 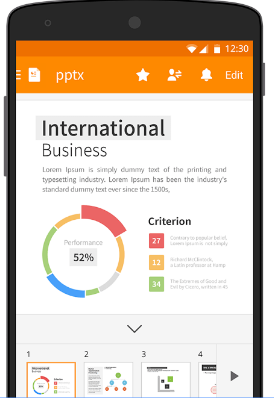 WPS Office is considered as one of the best office apps for Android. It’s ideal to use several file formats including doc, docx, xls, csv, xml, ppt, PDF, txt, java, bat, cmd etc. WPS supports over 46 languages and offers a wide range of customizations to your documents. It’s connected to popular cloud storages including Google Drive, Dropbox, Box and social sites like Facebook, Twitter etc. Polaris is another all in one office suite for your device. 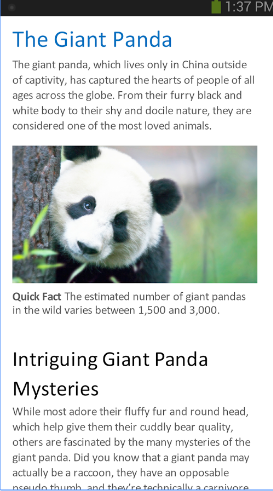 It lets you manage Word, Excel, PowerPoint, PDF file from a cute, attractive interface. The program is enriched with over 24 templates, 3D charts, effects and supports all leading cloud services. Mobile version of Microsoft Office. It lets you access all office documents from virtually anywhere. The app is cloud connected, so it’s not a matter to save file from the office computer and later edit it from a mobile or home PC. Meet another leading office solution for Android. Like all other office apps, we already discussed, it too supports all major file formats and lets you save them in the cloud. The program is available in 68 languages. The premium version comes with professional photo editor, document scanner, predictive keyboard and many other tools.